L'histoire des ordinateurs électroniques RCA remonte à l'engagement de la compagnie comme fabricant de composants pour l'ENIAC. Le premier ordinateur commercial vendu fut le BIZMAC, suivi par le RCA501 auquel le RCA 301 est apparenté. RCA développa ensuite simultanément la machine scientifique RCA 601, de la classe du 7090 IBM et le RCA3301 qui devait être une machine de gestion au-dessus du 301. 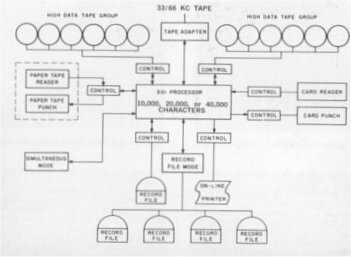 RCA interrompit en 1964 le développement du 3301 pour se lancer dans une gamme similaire à l'IBM 360, la série Spectra dont seront dérivés les machines Hitachi et Siemens. RCA was involved in electronic computers from ENAC times as a supplier of components. 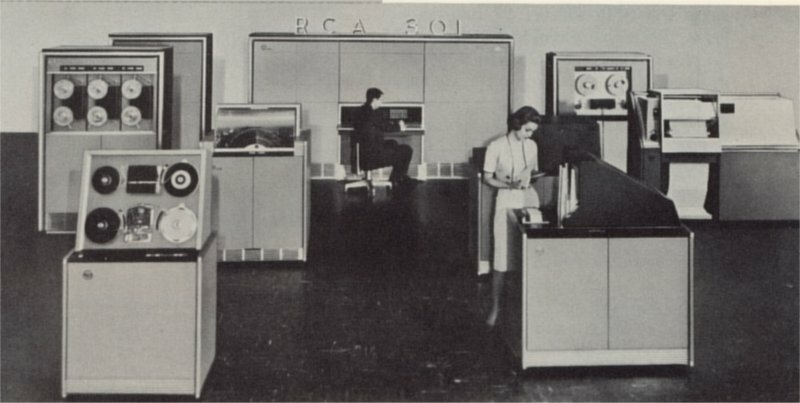 RCA developed then simultaneously a fast scientific computer the RCA601, that attempts to compete with the IBM 7090 and the RCA3301 an upgrade of the 301. In adition to Compagnie des Machines Bull, the RCA301 was licensed to English Electric (then ICL) in UK and the Commonwealth, to Siemens in Germany (GFR), and to Hitachi. Other devices were also connected! the Bryant large (at least by size) disc file unit was connected. 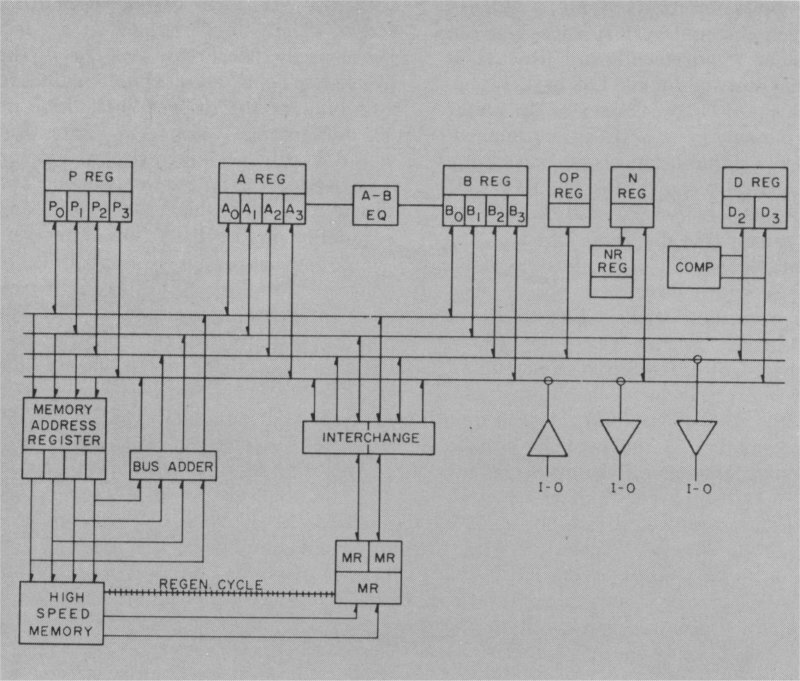 The RCA 301 processor instructions are fixed length of 60-bits (organized as 10 characters of 6 bits). It includes an Op-code (6-bits), an N field storing a complementary Op-code or an operand field length and two address fields A and B storing 4 characters central memory addresses. 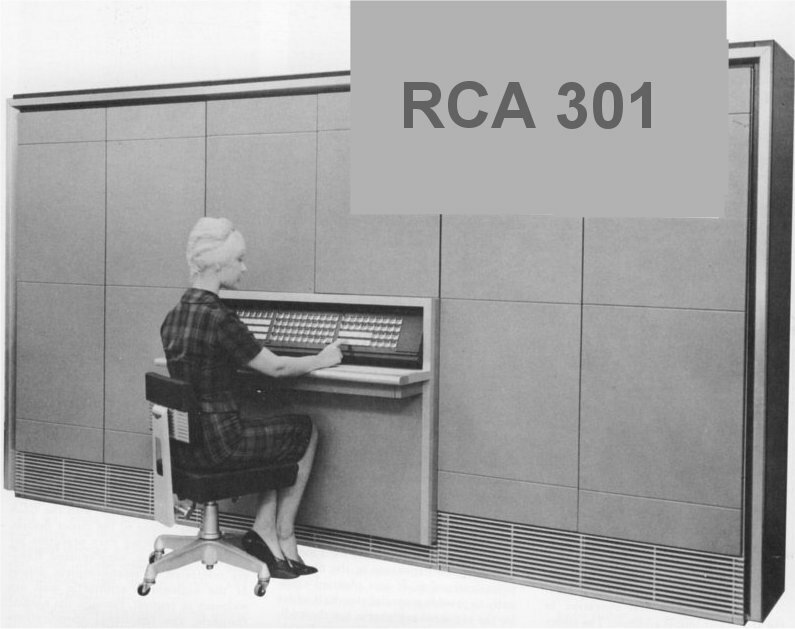 The standard RCA 301 instruction repertoire uses 48 op-codes. Data are stored as variable length strings of decimal numbers or alphanumeric numeric characters of 6-bits. 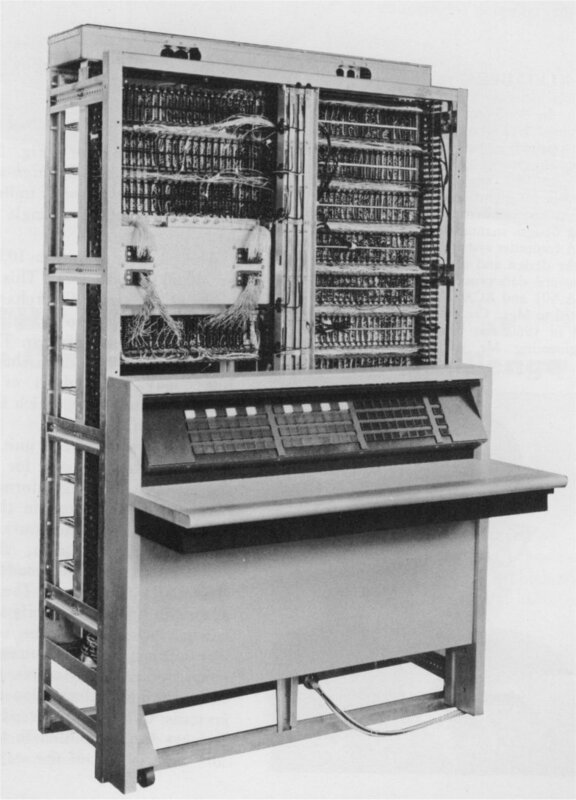 The RCA 301 scientific computer includes a 35x high speed arithmetic unit that adds 10 new instructions to the 301 instruction set. The data formats in those instructions are decimal fixed-point on 8 digits and floating point on 10 digits (2 of them being an exponent). In addition, index registers can be specified in the N-field. Hardware includes an addressable upper accumulator and lower accumulator, two non addressable arithmetic registers ans a parallel adder. The 3 index registers and the 3 increment registers are located in ùmain memory. The scientific option is field retrofittable (40 hours working time). The unit occupies 12 rows (a half rack). The scientific software includes a subroutine library, UMAC an algebraic language , and FORTRAN. The arithmetic unit registers are MSD (most significant digit), L and R left and right operand registers, UAC upper accumulator, LAC lower accumulator, LMI and RMI storing the sign of operands, EXP exponent register. The RCA301 is built around a central memory built from magnetic cores. Its logic circuits use solid state circuits made from discrete transistors and diodes.